Setting the standard for all others to follow, their design brief encapsulates refreshing ideas for creating small bathroom spaces using all available spaces for clever storage, eco-friendly brassware plus innovative decor that uses colour to define your space. Buy the Ideal bathroom right now. Master designers of contemporary bathroom ware, Ideal Standard deliver a comprehensive collection of fresh and streamlined toilet units. 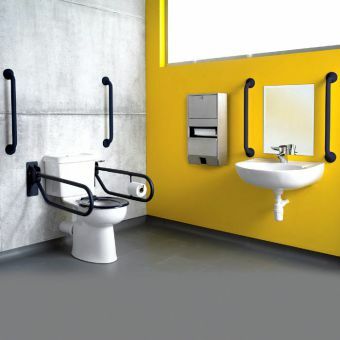 Reliable, affordable and compatible with almost any interior, it is no surprise that Ideal Standard Basins and Sinks have become the go to range for commercial and public washrooms and cloakrooms. Sleek and elegant, Ideal Standard are the envy of the bathroom ware design world when it comes to their collections of taps and mixers. Whether you are hunting for that space saving, cost effective bath tub or a top of the range, luxury whirpool bath, Ideas Standard Baths are well worth investigating. 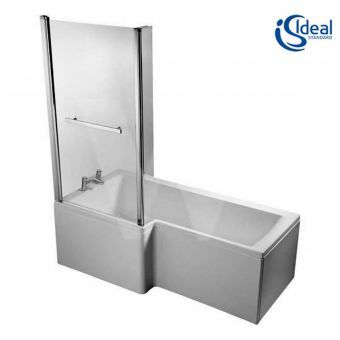 For over a century, Ideal Standard have been at the fore front of bathroom design. Experts in all aspects of bathroom product creation, they employ a team of world class, award winning designers to ensure each range and indiviudal product is a carefully considered balance of form, function, hygiene and efficiency. Permeating these ranges is an eco friendly philosophy. A quick scan of the WC units, showers and taps reveals multiple options to include dual flush technology, flow limiters and aerators to drastically reduce water consumption. Every care is taken to deliver high end results with no detrimental effects on user experience, while reducing long term running costs and the environmental footprint of these products. Developed as the ultimate design tool, the Ideal Standard 3D planner allows you to import the layout of your own specific bathroom and plan it to the last detail. Mix and match products with ease to get a realistic vision of how the final layout will appear before you buy. 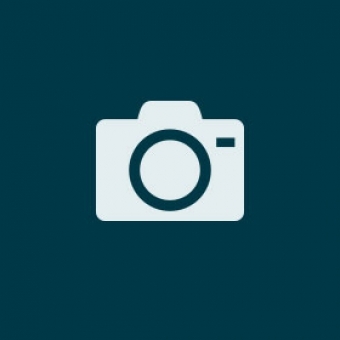 Available for tablets and mobile, planning your dream bathroom on the go is easier than ever. Ideal Standard have a team of multi-talented designers, turning their hand to create both vintage and modern pieces. Drawing inspiration from Art Deco and Edwardian eras, the traditionalist will find much appeal within these collections, while the modern, spacious look is represented with ranges such as Space, Create and Concept. Truly global player in the world of bathrooms and heating appliances. You will be able to create your Ideal bathroom from the wide range of baths, toilets, wash basins, taps and mixers, showers as well as the comprehensive range of bathroom fittings and bathroom furniture from the Ideal Standard stable. Beginning life in the USA in 1872 and from the simple start in a tinware shop in Massachusetts, Ideal Standard has become the largest manufacturer of bath and kitchen products in the world. 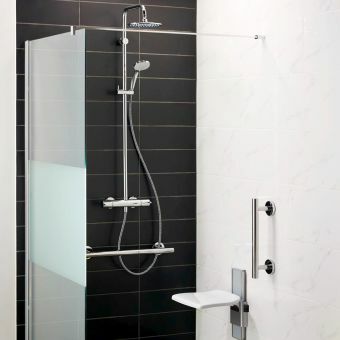 Embracing famous names including, Armitage Shanks, Jado, Marc Newton, Sottini, Trevi Showers and the White and Silver collection by David Chipperfield the range of products available to us to help you in the design of your new bathroom, shower area, or on suite facility is extensive. 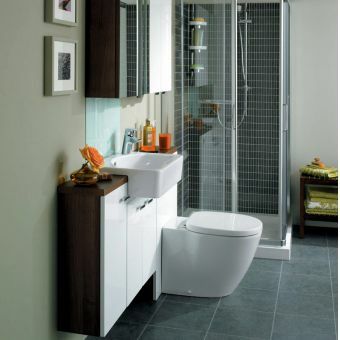 Quality British Bathrooms and the name of Armitage Shanks are synonymous and the company can be traced back to 1850. The Armitage Shanks range of ceramic products for the bathroom is extensive and it is likely that we have all, at some time, used one of their products. Armitage offer a comprehensive range of full bathroom suites, fifteen styles of bath, eight models of taps and mixers, a range of eight types of vanity basins, In the Armitage range you will find all you need to create your perfect bathroom and build a room that suits your budget and lifestyle. 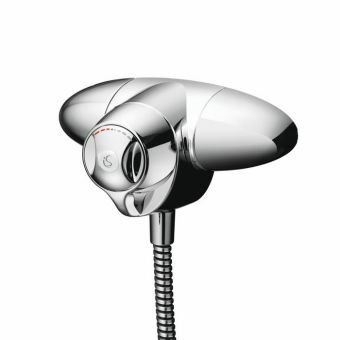 Ideal Standard were at the forefront of design with ceramic disc technology for accurate mixing of hot and cold water for showers and the Trevi range of showers continue in that vein. The Trevi blend mixer is a simple valve that allows you to choose the temperature of choice and are either exposed or built in. All Trevi blend mixers have a built in safety device, that can be prevent scalding. 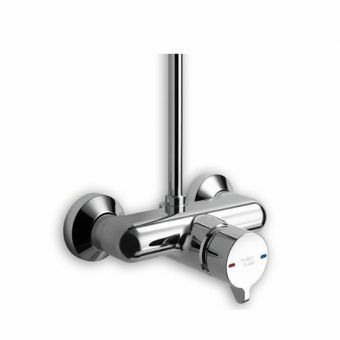 The range of Trevi thermostatic mixers allow you to select the temperature to suit you and will not change even if someone turns on a tap or there is a reduction of water pressure. A new range of bathroom ceramics, mixer taps and showers from the designer Jasper Morrison has recently been introduced by Ideal Standard, adding to the range from which you can choose. The range of products from this well known design company is beautifully complimented by this range of ceramics and equipment. Naturally Ideal Standard employs their own design team, but in addition benefit from the use of well known designers world wide to compliment their range of products, none more so than those shown in the Jado range of products. Concept from Ideal Standard was introduced to meet the needs of customers with ever growing expectations and sophisticated outlooks. The Concept range is split into three distinct design disciplines: Cube Sphere and Arc. Each stunningly visual range brings its own subtle variation to the overall look while providing an efficient space saving solution. Concept Cube has elegant sculpted lines with soft inner contours that enhance the visual appeal of a bathroom featuring square style. Sphere veers in the opposite direction and is produced with softer, rounder edges and circular contours. As with all he Concept ranges, it is produced using the highest quality firing techniques and gives you a seamless smooth surface on every piece in the collection. Concept Arc follows a more classical approach with basins having an organic design that produces comforting shapes in all areas, basins, toilets and baths. This extensive range of award winning products encompasses all basin styles including semi-recessed with some having matching chrome towel rails for convenience. Ideal Standard have though through the whole concept with even the cistern shapes of the close coupled toilets mimicking the range shapes. 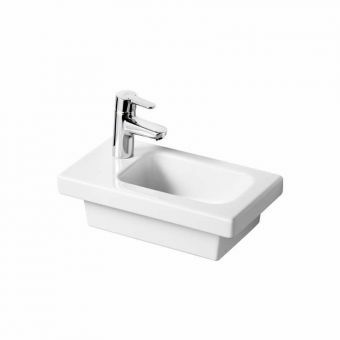 Concept radiates simplicity and purity and introduces harmony into any bathroom. Alto by Ideal Standard represents a great value range which is often specified by architects and designers alike. It is equally popular with home owners for the same reason, it covers every aspect of your bathroom needs from a small cloakroom right through to a double ended bathtub for luxurious soaking. 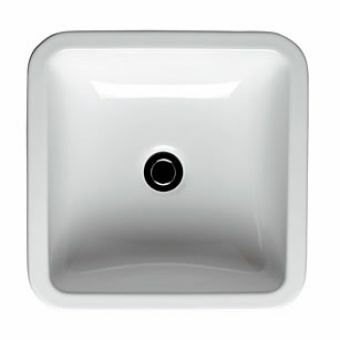 Basins can be ordered in 450, 500, 550 and 600mm sizes and have a pleasing round form with curved edge detail and most come with the option for one or two tap holes. In addition trap covers and full length pedestals are available to hide all your pipework neatly out of sight. 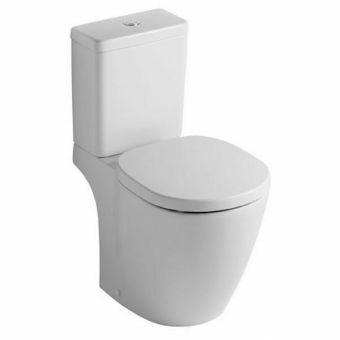 The range of Alto toilets is extensive ranging from the standard close coupled flush water saving dual flush to back to wall and even wall hung for total integration into your bathroom. The graceful contours of the ceramic finish will add a sense of refined ambience to any installation and if you need extra storage space, vanity units and WC units can be integrated as well. 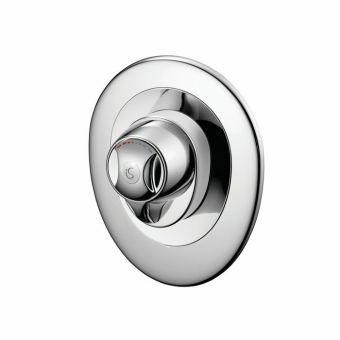 Alto has a clean and soft design that will last for a long time and this can also be seen in their complimentary series of shower valves with safety shut-off to prevent scalding should you lose you cold water feed. The Ideal Standard Playa range of contemporary ceramic ware is perfect for someone looking to freshen up a dated interior. Playa has its own sense of style and will add serenity and elegance to any bathroom whether it is a simple update or a complete makeover. Quality materials and elegant sculpted shapes give this range a hand built feel, easily matching other components in your bathroom. 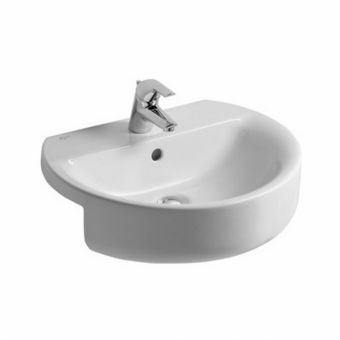 The standard family basins have neat sharp edges with gentle curved contours. They are available in either 500 0r 550mm sizes with matching pedestals and a choice of one or two tap holes for ultimate versatility. Further options include a semi-countertop and fully recessed countertop basins which are perfect for use with furniture. Toilets feature smooth action soft closing seats with matching covers and chrome hinges adding a feeling of refined ambience to your bathroom. 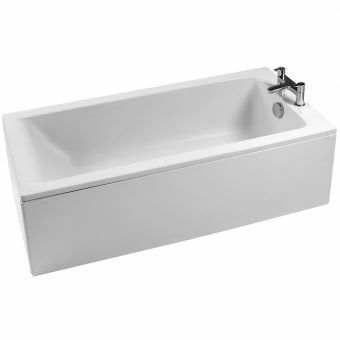 1700 and 1600mm wide baths neatly finish off the range and you will benefit from their spacious interiors featuring gently sloping contours so relaxing in the perfect bubble bath after a hard day will be easier than ever. Plaza from Ideal Standard is a design triumph. It has been put together by the talented design team of Studio Levien headed up by award winning designer David Tilbury. Although not set as far back as the Victorian era this charming Art Deco classic has a timeless appeal that will add glamour and glitz to any bathroom setting. It evolved from an era where grandeur and opulence was King and where some of the most striking designs of the 20th century still give us a nostalgic feel. 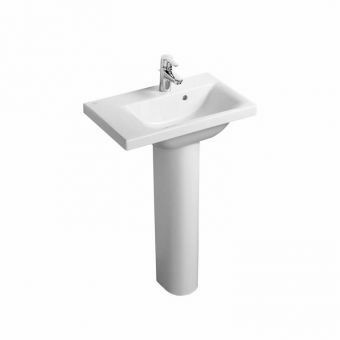 The Plaza pedestal basin is a healthy 580mm wide and 465mm deep and comes with two tap holes to allow you fit elegant pillar taps in chrome or gold if required. The 450mm hand rinse wash basin will suit the smaller bathroom or cloakroom and will look spectacular with a gleaming chrome bottle trap. The bold geometric design has a dramatic cosmopolitan look which will excite the senses. 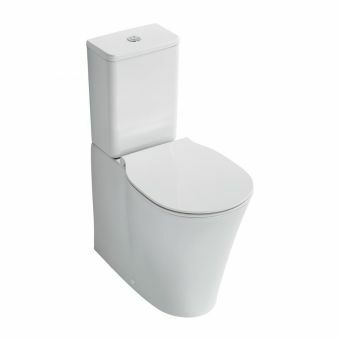 The six litre cistern is lever operated and sits well back making access easy. A standard close seat is required but this can be ordered ion white or dramatic black for glam appeal. The Plaza Idealform 1700mm wide bath will create your perfect retreat creating a feel of nostalgic charm with 30’s pizazz. 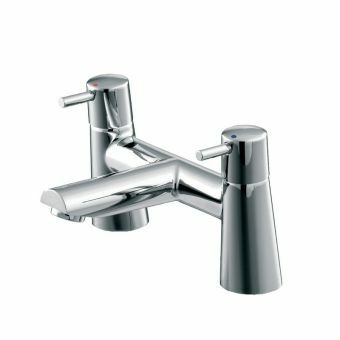 The strikingly simple Ceraplan range of brassware made by Ideal Standard puts simplicity and ease of use at the forefront of its design. 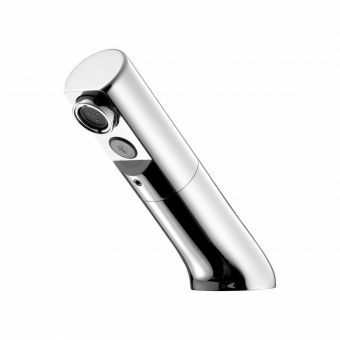 Its superb design has a discreet universal appeal to the style conscious home owner and makes use of the latest technology which is carefully integrated into the component products. 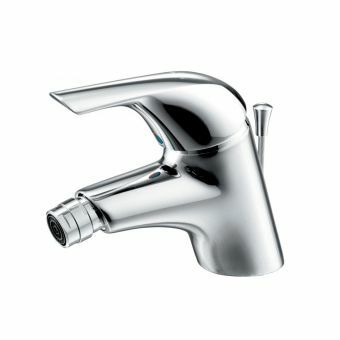 One of the most appealing benefits of Ceraplan is the beautifully tapered single lever which controls many of the taps. It allows you to control flow and temperature with a single hand and the ceramic disc valves make short work of drips. 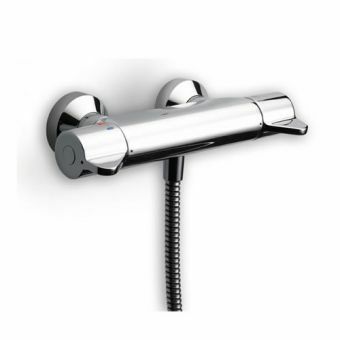 All kinds of taps are available from the simplest one hole basin mixer to a deck or wall mounted bath fillers, many being supplied with integrated single function handsets finished in matching gleaming chrome. If saving water is a major concern for you then Ceraplan can accommodate this as well with many mixers incorporating an eco-flow regulator which gives the same satisfying wash but using far less water. Ceraplan from Ideal Standard meets the gold standard with its green philosophy. Behind every good toilet there is a good cistern so with this in mind Ideal Standard have created the Conceala 2 range of cisterns. 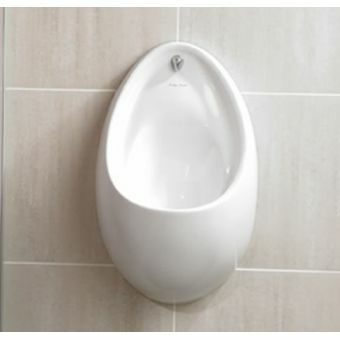 Made from high impact plastic to prevent being damaged during installation, these premium grade cisterns come with all component parts fitted so your installer will have no problems. 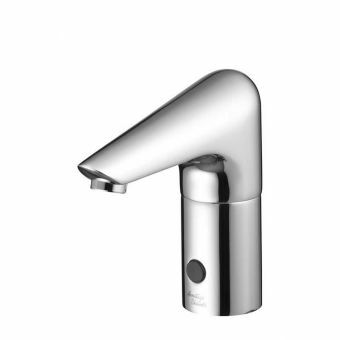 They can be fitted inside a furniture unit or inside a wall cavity for connection to back to the wall toilets and feature a standard gauge water supply pipe with smooth contours to allow maximum water delivery for the highest quality flush. Further variations allow fitting the water inlet into the side or bottom of the cistern so all options are covered. Conceala 2 have also been designed with water-saving in mind using either six and four litre dual flush or even down as low as 2.6 litres for a single flush. Flush activation is well catered for and they provide several options. 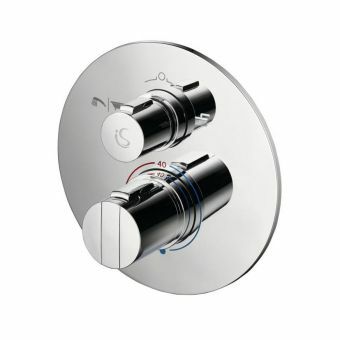 A chrome dual flush plate is best used with a toilet unit or you can install their dedicated range of levers and pneumatic air lines, all in high quality chrome finishes. The World’s resources are under pressure so wasting water has moved right to the top of the agenda for many manufacturers. Ideal Standard have moved quickly to address this concept and optimising water control has been incorporated onto many of their ranges, especially Cone. The Cone range has been created by award winning designer Robin Levien and the bold, cutting edge appeal has translated into products that will fulfil every need. The cylindrical shape of the basin mixer includes a pop-up waste as well as an eco-flow regulator that can cut water flow down to five litres per minute if necessary. 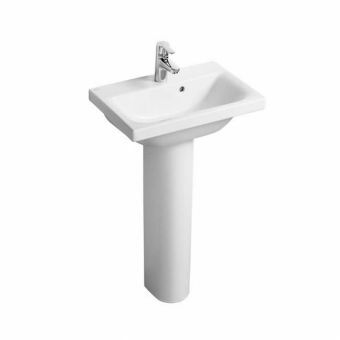 Pillar taps and a matching bidet mixer with adjustable aerated nozzle further expand the range. 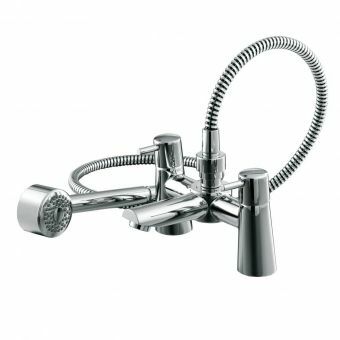 Give your bath a makeover with one of five bath tap sets from traditional twin pillar taps through to a deck mounted filler with central diverter fitted with a sparkling chrome hose and single function handset. A completely new concept recently has been to do away with standard bath taps altogether and fill the bath from the waste overflow with a hidden spout. 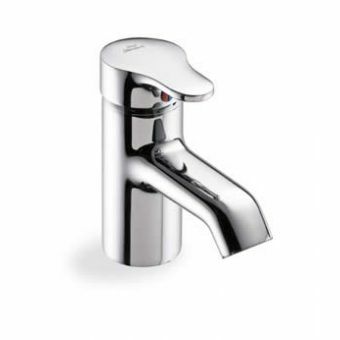 The water is then controlled from a hidden valve with two small controls but remarkably this is also included in the range, unique features at everyday prices with Ideal Standard. Directional and creative thinking by top designer Robin Levien has proved that versatility is not just available to those with the deepest pockets. The Create range from Ideal Standard combines two shapely design concepts that you can mix and match to create your own look. 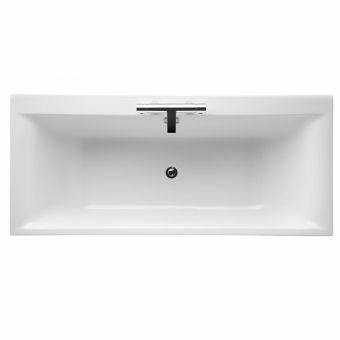 All basins are made to the exacting standards that you would expect from a top British manufacturer using only the highest quality materials. Pedestals and trap covers combine to produce the look you want and with several sizes from 450 to 550 plus a semi-recessed version for unit mounting your new bathroom will evoke a feeling of understated elegance. It is worth noting that a countertop vessel bowl has also been produced that will integrate perfectly and can be used with wall or tall basin mixers. 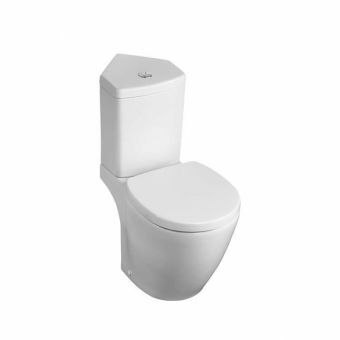 Create toilets follow suit with square or curved cisterns to match other ceramicware and a choice of close coupled, back to wall or wall hung will meet your lifestyle requirements whichever you choose. World renowned European designer Jasper Morrison has brought his considerable talent to Ideal Standard and created his own range of ceramic ware and bathing concepts. He has utilised sharply defined crisp angles and contrasted them with curvaceous design to produce a capsule collection that exudes stylish opulence. Take a closer look at the basins and toilets, they just look a little bit more defined and sharper than the usual, almost hand-made. 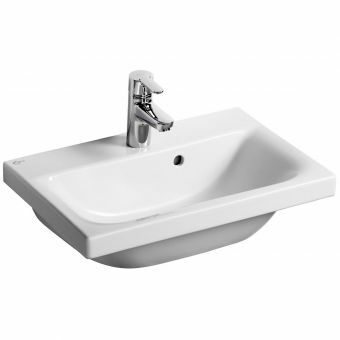 The 400mm cloakroom basin is a useful addition to the smaller bathroom while the 500 and 550mm sizes will be more comfortable to use with a larger family. Trap covers and tapered pedestals are available if you want to hide pipework. Storage and furniture are always needed in a bathroom and to save further space you can simply add the semi-recessed basin to a unit for an entirely integrated look. The 500mm vessel bowl is an award winning design and comes without tap holes so you can add a classy tall tap or even wall mounted taps. Several styles of toilet have been produced from close coupled to wall hung. The finishing touch is a graceful 1800mm asymmetric bath with wide edges and a deep sculpted interior leaving you cocooned by warm water. Jasper Morrison is a design classic with refined contours and timeless appeal. The Silver brassware collection from Ideal Standard is the perfect answer for those who strive for quality and perfection. Each piece is carefully crafted to enhance its strong geometric appeal and refined contours. The Silver range is quite extensive covering all aspects of water delivery from basins to baths and unusually many mixers are offered with both single and dual controls. 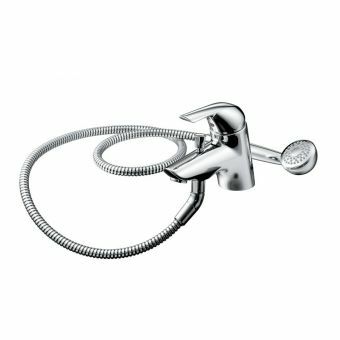 The spouts feature elegant curved swan neck curvature and carefully place the water exactly where it should go without splashing. 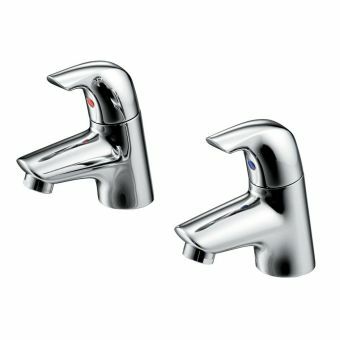 The graceful, delicate curves of the tap bodies provide a sharp contrast with the crisp angles of the operating levers. Specialist mixers have been created for countertop or vessel bowls which add extra height to reach over the edge of the basins or you can choose wall mounted sets with separate hot and cold supplies. Bath fillers can be deck or wall mounted with wall mounting being the preferred choice should you want to keep the rim of your bath free from clutter and chrome. The charm of this aesthetically appealing range even extends into the shower room with a twin control mixer or the ultimate valve with thermostatic control that will not only shower you but also fill your bath! 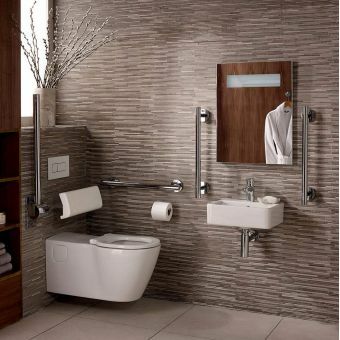 Silver from Ideal Standard is definitely the gold standard when it comes to bathroom choices.